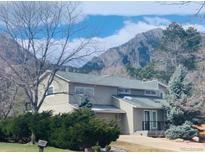 Below you can view all the homes for sale in the Devils Thumb subdivision located in Boulder Colorado. Listings in Devils Thumb are updated daily from data we receive from the Denver multiple listing service. To learn more about any of these homes or to receive custom notifications when a new property is listed for sale in Devils Thumb, give us a call at 720-729-2286. Easy access to Denver on 36 or catch a local ride on the RTD bus, quiet cul-du sac location. MLS#2057517. Berkshire Hathaway HomeServices Rocky Mtn Realtors. Enjoy the HOA pool and tennis courts at the bottom of the street. Live the dream! MLS#9399528. Porchlight Real Estate Group.